Young people from across Europe will congregate in Turin next month for a youth exchange which aims to explore gender expression as a form of art, but also as a form of activism that enables us to be gender critical, and which helps to challenge the constructs and institutions that support gender disparity and inequality. One such institution is sport, and LEAP Sports is delighted to be able to support 5 young activists to take part in this innovative programme. The project will support participants to develop their personal confidence as well as their confidence in their activism, and will serve as an excellent precursor to the Youth Leadership Academy currently being developed. You can read more about the project or find out how to apply to take part by checking out this link. 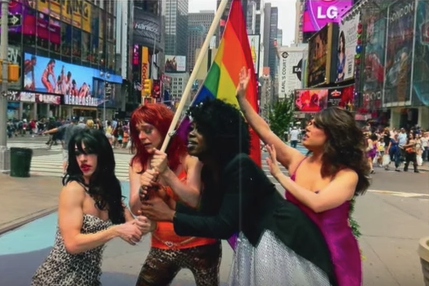 One of the volunteers who is supporting the exchange, Ru Jazzle, has made the short video below, discussing when drag is activism. Written on 16th August 2018.